Pursuing the Perfect Margarita: Which Commercial Blender is Right for Your Business? 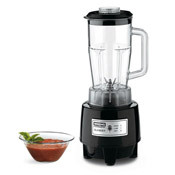 Commercial blenders are one of those great multiple use tools that a chef will love. Going far beyond just making margaritas or smoothies, today’s models incorporate many features of food processors, which saves counter space, time and money. 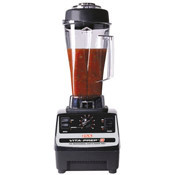 Whether you’re looking for the best commercial milkshake machine, the best frozen vodka drink blender, or just something to make salsa or smoothies, Cook’s Direct carries a wide variety of commercial blenders. Let’s take a look at a few of the top sellers. Chances are pretty good you know someone with a VitaMix. Their wide array of uses and durability make them a favorite on the home market, but their commercial models are also quite popular. The VitaPrep 3 is a workhorse designed for heavy use and it’s large 3 horsepower motor means it can run for extended periods of time without overheating. Plus it has a patented “accelerator tool” that breaks up even the densest ingredients. If you’re not quite ready to make the VitaMix investment or don’t need such a heavy duty machine, the Waring 700G is an affordable entry into the commercial blender market. 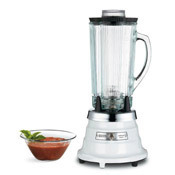 A more light duty blender, the Waring is best suited for up to 25 drinks per day. Despite it’s being a more “light duty” model, performance doesn’t suffer. A few steps up from the 700G, the Waring HGB146 is a commercial powerhouse. It’s 1.5 horsepower, 2 speed motor means it blasts through sauces, ice, fruit, vegetables, soups and just about anything else your chefs can throw in it. 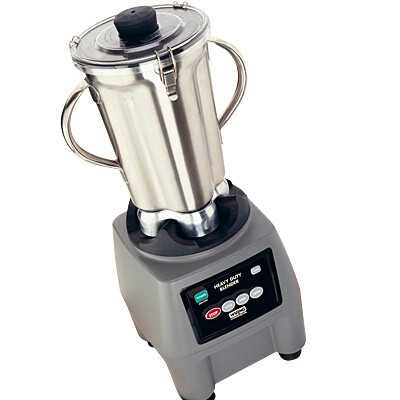 Ideal for about 3560 drinks per day qualifies the HGB146 as a medium duty commercial blender. Perfect for snack bars or a coffee shop looking to integrate frozen drinks to the menu. If you own a smoothie shop, bar, or a custom salsa operation, then you’re going to need something with not only power behind it, but super duty capacity. That’s where the Waring CB15 comes in. The CB15 is the muscle car of the commercial blending world. It holds one gallon of food and has a 3.75 horsepower motor. There’s little it can’t blend to your satisfaction. If you put your TV in it, you could probably make TV juice (don’t do this). With all the selections available in commercial blenders, we hope that we’ve provided some help in deciding which blender works best for you. If you’re still not sure which is the right fit for your business, you’re more than welcome to visit our website and call/email us at your convenience. We want your next margarita to taste as delicious as you’ve always imagined. Meet the Cook's Direct Team!